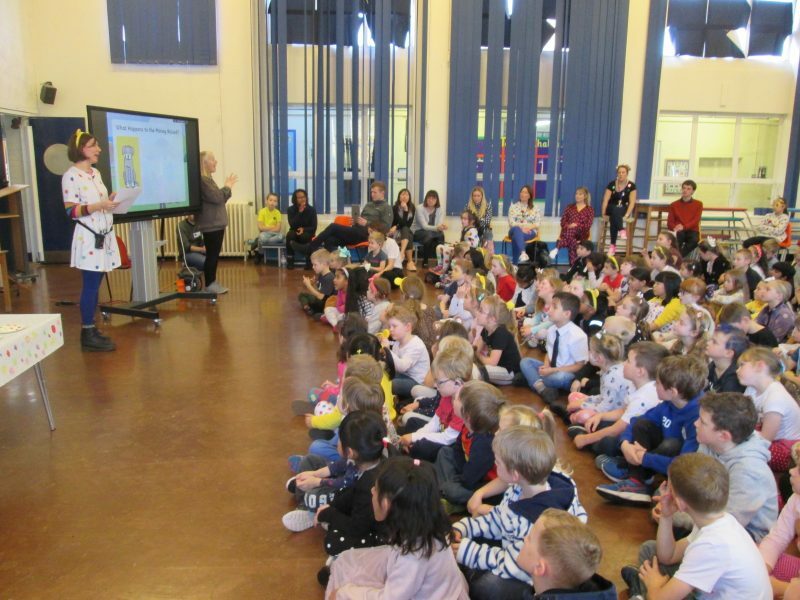 Later on, Miss Bennett, in all her spot-tacular glory, delivered a wonderfully informative assembly on the fantastic work that Children In Need do and how schools around the country can get involved to do some fundraising just as we have. 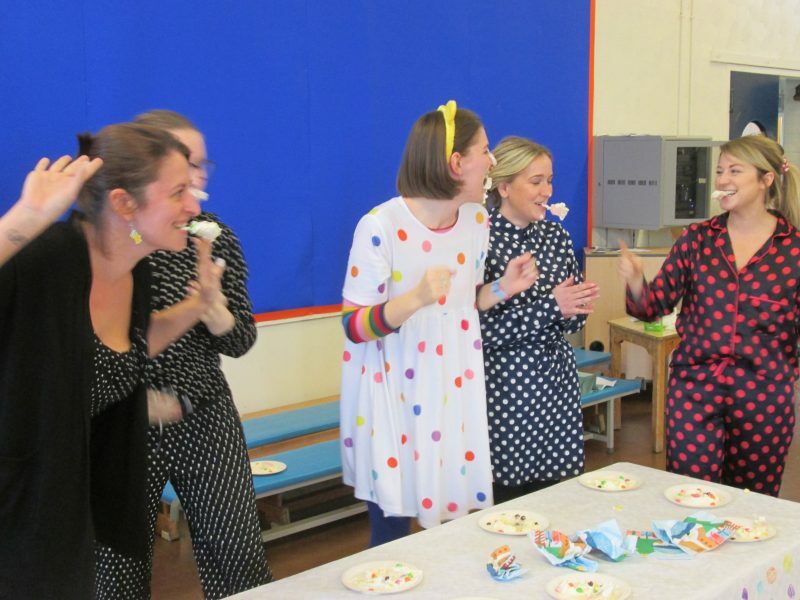 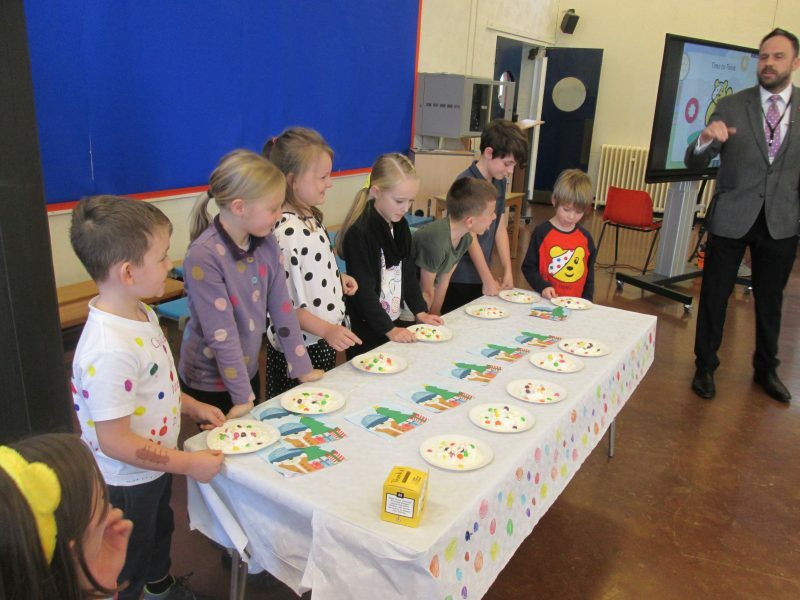 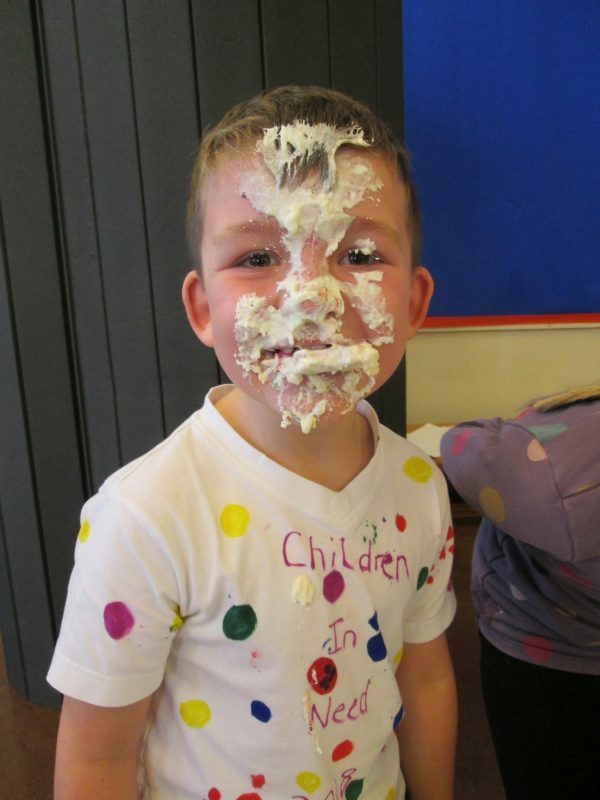 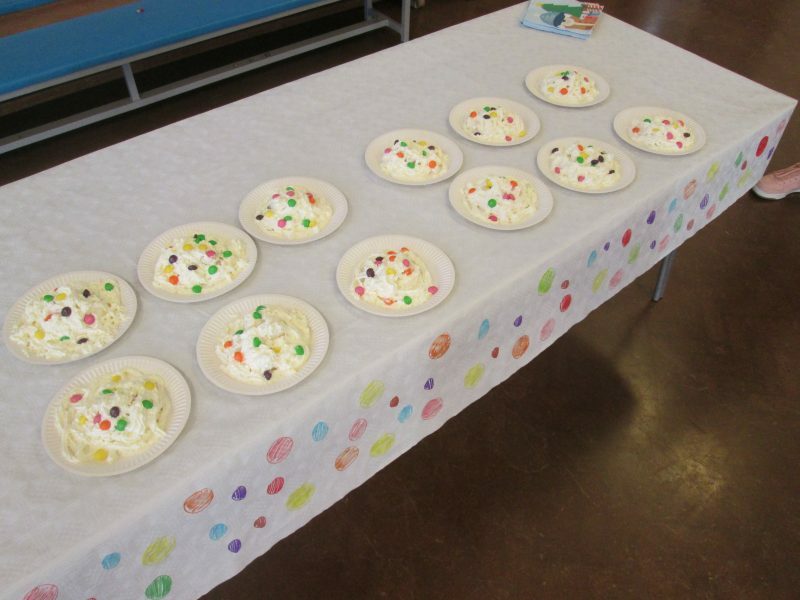 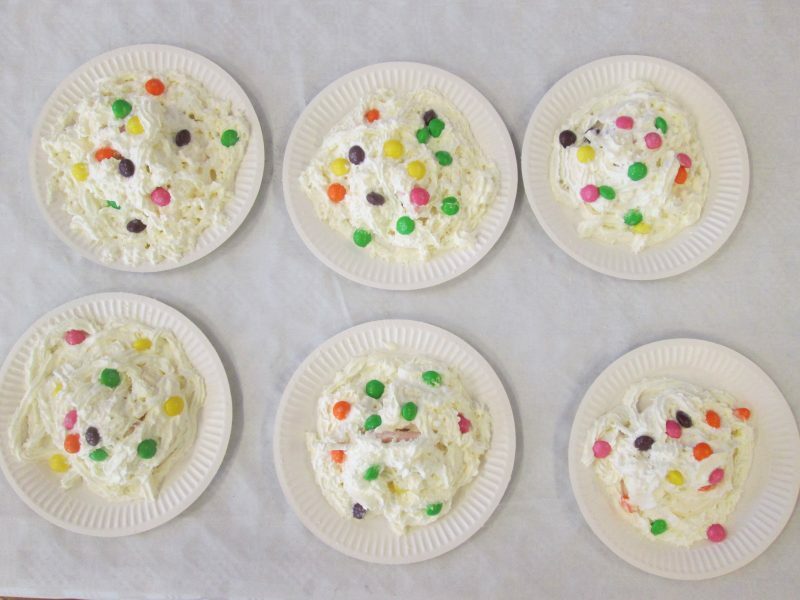 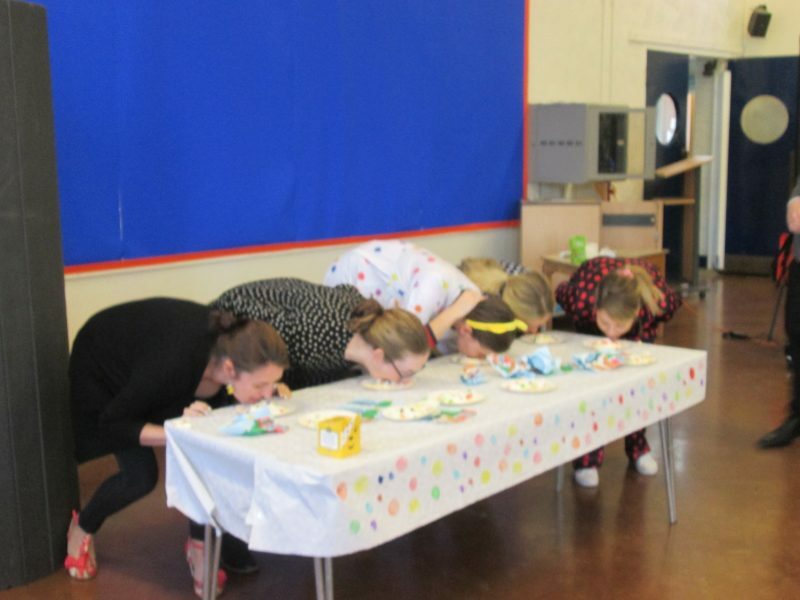 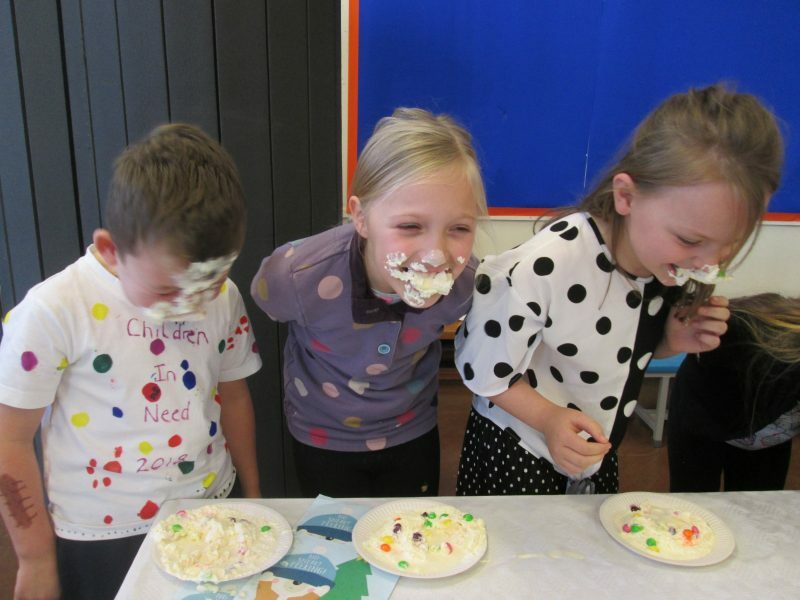 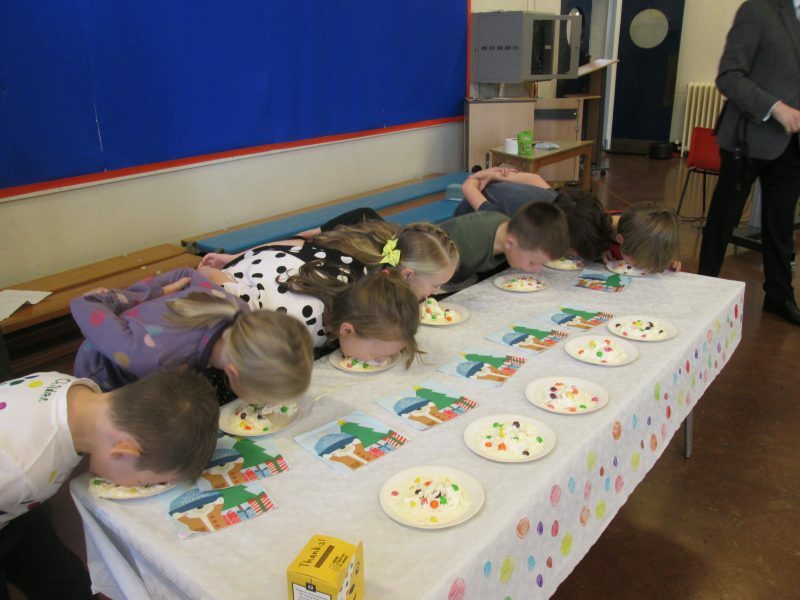 Then, Mr Wilson lead the Children In Need Challenge where a child from each class Y1 – Y6 and some of our very brave teachers had to delve around in a plateful of whipped cream to retrieve a surprise inside! 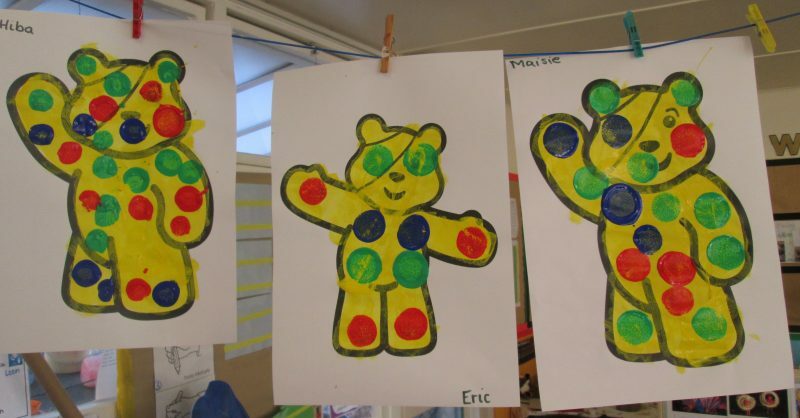 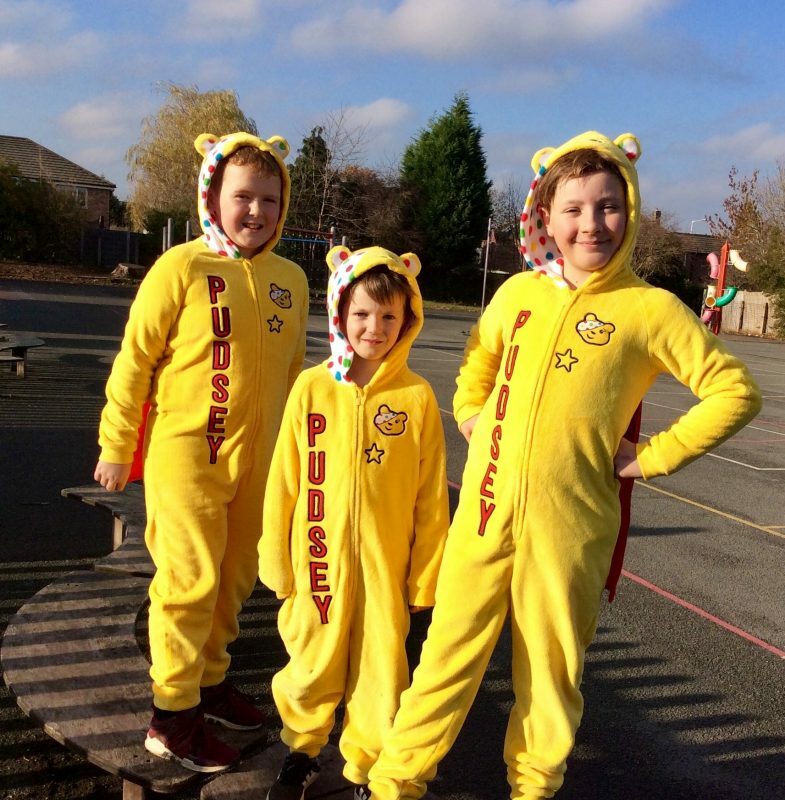 Thank you as always to parents, pupils and staff for their donations to Children In Need.